API LUNCHBOX 6B HC 500 series 6 x slot portable rack/psu. Individual XLR and D-SUB I/O. Can be used horizontally or vertically. Rack ears are available. Fill any combination of 6 x 500 series modules of your choice, mic pres, eqs, compressors, fx etc. 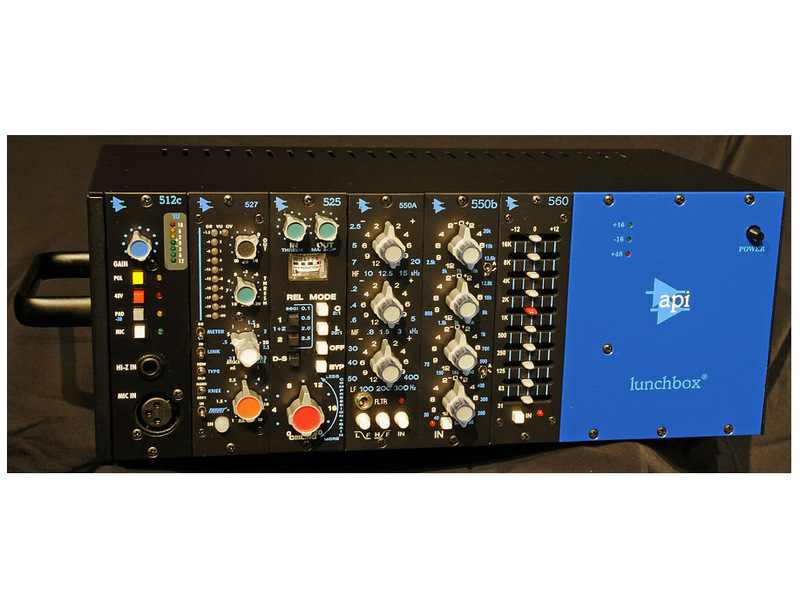 API LUNCHBOX ALWAYS ON DEMONSTRATION AT THE STUDIO SHOP !